Thank you to NetGalley and Scholastics for this ARC! You can get a copy for yourself September 1st, 2012. Never before have I read an ARC and needed to insert a disclaimer into the review. I need to do so now. This is not a knock against the fantastic folks who allowed me and others to read an ARC of this book. This is more of why there is such a caution about reviewing ARCs. ARCs are never edited as they will be when they are released. 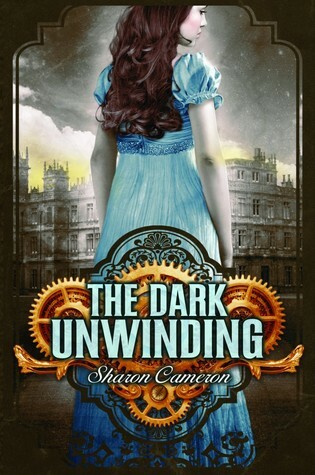 However, The Dark Unwinding’s Kindle ARC version was one of the hardest ARCs I’ve ever tried to read. It lacked capital letters, formatting and a lot of punctuation. The reason I’m telling you this is so that you will PLEASE take my review with a grain of salt when I talk about places of confusion while reading the ARC. It is entirely possible they will not exist in the finished version. Now, with that out of the way, let’s talk about the STORY! This book intrigued me right from the get-go, and the world did not disappoint. I’ve really never read much steampunk, so I soaked in each and every description about Uncle Tully’s creations. The description in this book, whether it be for the inventions or just the setting, was really fantastic, and I could always see each scene right in my head. What I really liked was that there wasn’t too much emphasis placed on the “fantastical” elements of the book. Sometimes, people writing in fantasy, scifi, etc, have a tendency to hit the reader over the head with how new and exciting their setting is, but Cameron just let it roll like it was an everyday thing that needed only the slightest explanation. Infodumping was never a problem here. The characterization of this book was interesting. I never really connected with the main character of Katharine, and in fact for a majority of the first part of the book never even liked her. I don’t think you were actually supposed to, so you could see the change in her attitude later on, but I never think that’s a wise choice to start off with. We should always be able to at least understand the main character straight off. Some of the other minor characters were eh, but my favorites were Uncle Tully and Davy, the mute little boy with a rabbit and many secrets. Despite being two of the most intriguing characters, they weren’t particularly given much screen time until the end. The plot of the story was really where I had my problems. Again, I don’t know if it’s because I was struggling with just reading the words on the page or what, but I was in a state of “WHAT is going ON?” for most of the book. Sure, conversations and everything I could follow and I got the general gist, but some of the segways in between scenes were very abrupt and gave the reader no idea they were about to change. The best example is when the story shot from a normal paragraph to an event wherein Katharine may or may not be losing her own mind. Every time this happened, there was no warning and no preamble. All of the sudden she’s just dangling off the chapel roof or something. The almost supernatural hallucinations she was having were excellently written, yes, but every time they occurred I got jarred. The ending is really where it all got convoluted. Characters and actions started making little sense, honestly. Personally, I thought the romance between Lane and Katharine was nonexistent until it abruptly appeared at the end. (That is actually a highlight for me, but this may not be for you.) The character of Mrs. Jefferies, Lane’s aunt and the cook, especially befuddled me, because her character kept morphing between someone who seemed truly evil and someone who seemed truly nice. I guess this was part of the suspense of the book, but–again–everything was happening far too abruptly to read smoothly and make sense. 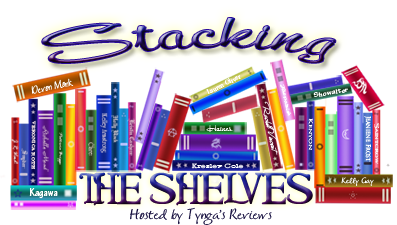 I’m all for mysteries, but like every other plot they should flow and never jar the reader out of the story. A couple more really big elements were added at the end that I think should have been mentioned earlier, but perhaps that’s just my preference. The ending action was certainly–and literally–explosive, which was again wonderfully written. After all the twists and turns with the characters, I found the eventually ending rather expected, but overall I was very pleased. Goodreads doesn’t suggest that there is a second book, but there HAS to be. Right? RIGHT? I mean, that wasn’t a cliffhanger by any means but there is certainly more stuff to go down. I truly hope there is a next book, and I really want to get my hands on a finished copy of this book. When the editing gets cleaned up, I think this book is going to read a lot smoother and be a fantastic ride for you guys. The writing is great, the characters are interesting and the plot really does wring you around. If you like steampunk and you like mysteries, I really recommend you pick this one up.